This week and next, our colleague Peter Cook will be blogging a four-part series on the education reform process in the Jefferson Parish Public School System in Louisiana. For part I, click here. Stay tuned for more! 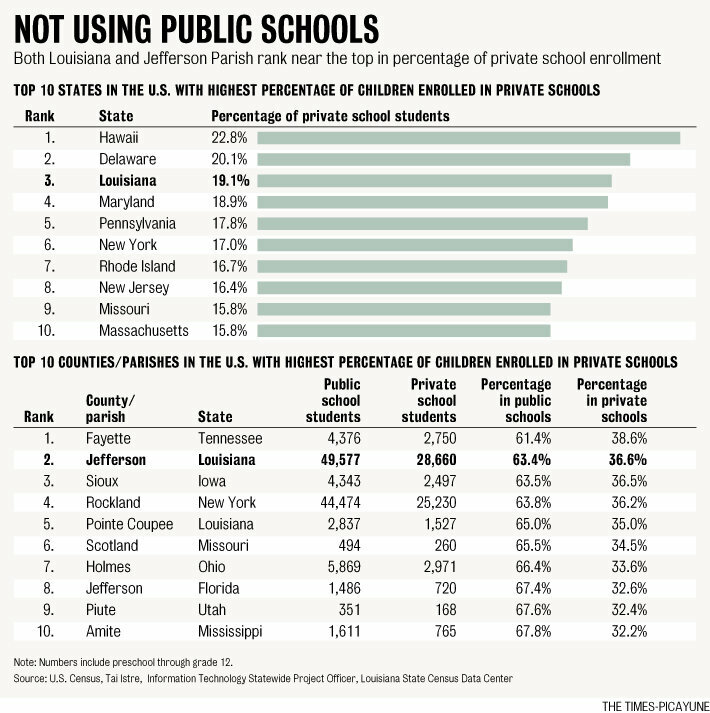 Although enrollment numbers had ominously fallen over the previous two decades, the introduction of statewide testing in Louisiana in 1999 brought the full extent of Jefferson’s problems into focus. And over the next several years, lagging test scores, falling graduation rates, and a sizable achievement gap between student subgroups became impossible to ignore. At the same time, with almost 37% of school-aged children in the parish attending private or parochial schools (the 2nd highest percentage of any county in the nation), it was clear that a large segment of the community had lost faith in the school system. Indeed, when the ballots were counted, the message from voters was clear: five reform candidates were elected to the board, unseating four incumbents in the process. A month after the new board was sworn in, Superintendent Diane Roussel announced she would retire at the end of June. With the start of another school year only weeks away, the board approached Dr. James Meza, recently retired as Dean of the College of Education at the University of New Orleans, to serve as Acting Superintendent while they sought Roussel’s replacement. It was at this point that the board made a critical decision that reflected the sense of urgency within the community that JPPSS needed to change. Rather than wait until they had hired a permanent superintendent, the board directed Meza to prepare a district reform plan over the coming months. By the time Acting Superintendent Meza formally presented his initial proposal later that fall, board members were so impressed with his performance that they extended his contract (and later made it permanent). In recent years, school boards have come under fire from influential voices in the education community who see them as obstacles reform and communities across the country have turned to mayoral control, appointed boards, or state takeovers in an effort to overhaul their school districts. On the other hand, board members have drawn accolades for taking on often-controversial proposals – such as school closures and layoffs – that would send most other politicians running for the hills. It is this perseverance in moving forward with reforms, rather than simply retreating at the first sign of resistance, that distinguishes the current members of the board from their predecessors. 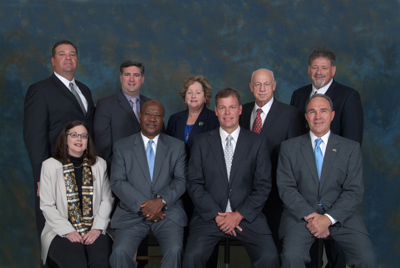 While their efforts have enjoyed ongoing support from leaders in the community – in particular the business community – it also reflects the trust they place in the leadership and decisions of their superintendent. By standing firm and allowing Superintendent Meza to lead, the Jefferson Parish School Board has been able to successfully steer the school system through a period of significant change. Tomorrow, in Part III of our four-part series on the reforms in Jefferson Parish, we look at the role played by JPPSS Superintendent James Meza.